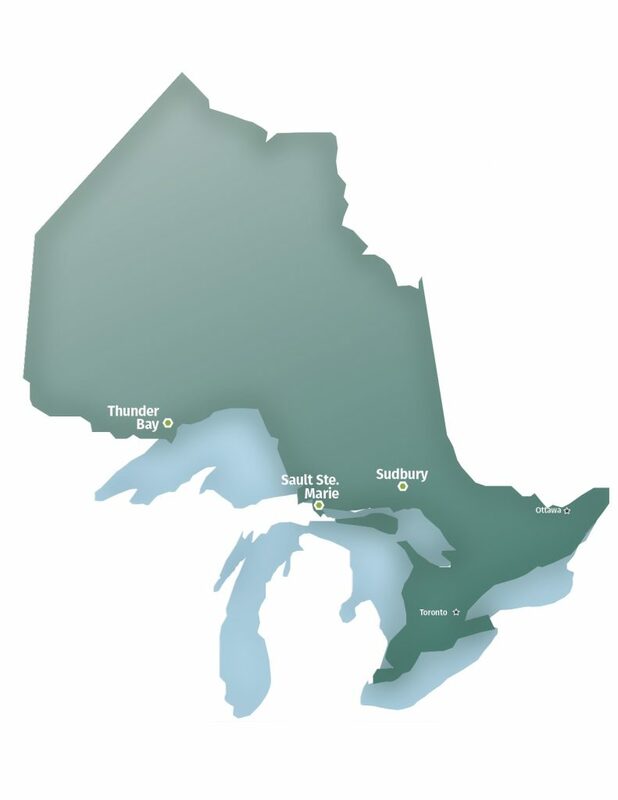 The Northern Ontario Dietetic Internship Program (NODIP) is administered by the Northern Ontario School of Medicine (NOSM), in collaboration with multiple preceptors, communities, and facilities throughout Northern Ontario. NODIP is nationally accredited and thus has been designed to develop the competencies required of an entry-level dietitian. NOSM’s social accountability mandate and a commitment to community engaged and distributed learning is the foundation of NODIP. 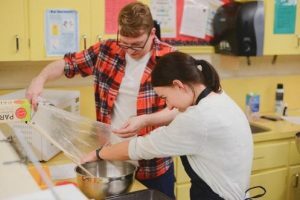 Since 2007, the Northern Ontario Dietetic Internship Program (NODIP) has demonstrated a commitment to improving the health of Northern communities. Graduates are trained by dedicated preceptors and committed organizations. Upon completion of their program, NODIP graduates work in diverse practice settings, serving their communities in different ways. To learn more about NODIP, view the video Standing Tall: NODIP@NOSM, created recently by Dr. Hoi Cheu, Professor of English and Film Studies at Laurentian University. 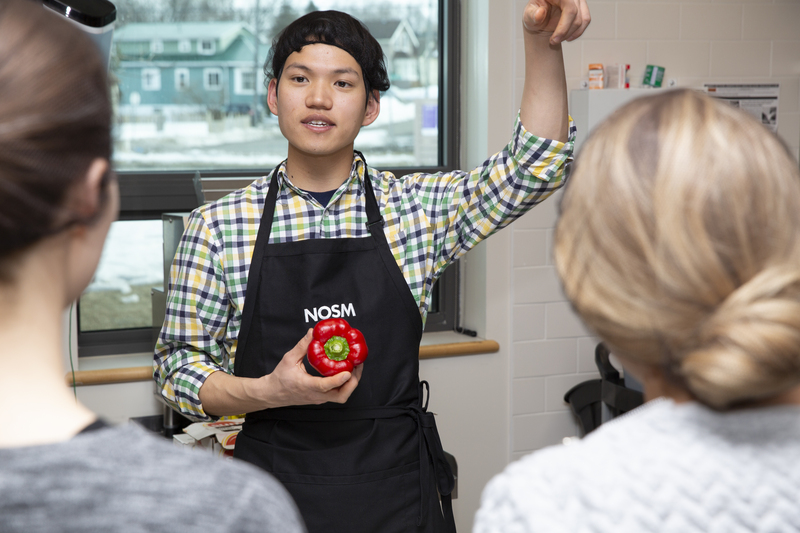 Since 2007, NOSM has offered the Northern Ontario Dietetic Internship Program, a 46-week internship that teaches dietetic interns the skills and knowledge they need for rural and Northern practice. In July of 2017, NODIP celebrated the tenth graduation of NODIP interns. Here are some of the many successes the program and its faculty, learners, and graduates have garnered over the years. NODIP provides practical experience for students to obtain the Integrated Competencies for Dietetic Education and Practice. 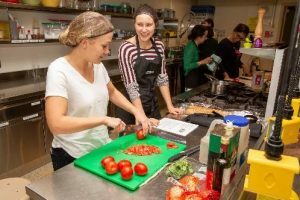 The internship is a comprehensive 46-week program in which students are exposed to nutrition care, population and public health, and management roles in dietetics. This internship will help you develop the unique skills required to meet the growing demand for health professionals in Northern and rural communities. Up to 12 successful applicants will be selected annually for this 46-week program which begins in early September. Interns will live and practice in one of three primary sites: Thunder Bay, Sault Ste. Marie, and Sudbury. For additional information about the Northern Ontario Dietetic Internship Program please view the NODIP program video developed for the virtual forum. The video can be found on the Dietitians of Canada Website here. Applicants must apply through Dietitians of Canada (DC). Please refer to Application & Selection Process for more details. *Includes a six-week Public Health Unit placement. A minimum three to six-week rural placement is required for this program. NOSM housing is provided for placements outside of the intern’s primary site. Rotations/placements are available for each component of the program. Below are examples; exact placements cannot be guaranteed and may change year to year. Topics are submitted annually by RD preceptors from the various NODIP placement sites. Two dietetic interns are paired and then assigned to a project, which is completed over the internship year, including four scheduled research weeks. For achievements of research projects by dietetic interns or practicum students. Recognizes outstanding academic performance in master’s and PhD programs. Professional development and networking opportunity at the National Conference. One of NOSM’s Academic Principles is interprofessionalism where learners in all of NOSM’s programs learn with, from and about each other as developing and practicing health care professionals. For the past three years NODIP interns along with RD preceptors and faculty have delivered nutrition workshops to Year 2 medical students during Academic Week. In 2017-18, NODIP piloted Culinary Medicine Labs which blends the art of food and cooking with the science of medicine. Through the support of RD facilitators and dietetic interns the pilot was a success. It has been expanded on both NOSM campuses and is continuing in 2018-19 with efforts to formally integrate this curriculum into the UME Program. To our knowledge, NODIP is the first Canadian internship program to include dietetic interns in the CML model of medical education training. NODIP’s professional development includes an annual calendar of workshops on topics including research and data analysis, program evaluation, health literacy and clear language, pediatrics, renal disease, food allergies, the International Dietetics and Nutrition Terminology and Nutrition Care Process. There may also opportunities to attend events and workshops offered during some rotations and/or by organizations such as Dietitians of Canada. All placement information, intern schedules and materials online. Common performance objectives and evaluation forms. A Resource Centre of workshop materials, additional resources and references. Assess your Francophone culture and health knowledge. Complete the online module called Working with Francophones: NOSM Health Sciences Learning Guide and receive a professional development certificate. Assess your Indigenous culture and health knowledge. Complete the online module called Working with Indigenous Peoples: NOSM Health Sciences Learning Guide and receive a professional development certificate. Shown below: NODIP’s professional development opportunities include an annual calendar of workshops on topics including a Growth Assessment Workshop.